It’s long been thought that bruxing (tooth grinding) and gum disease are linked. Now, a new study in the Archives of Oral Biology sheds some new light on the matter. This small but intriguing study compared tooth grinding among two groups of patients, one with healthy gums, one with diseased. Activity in their main chewing muscles – the masseters – was measured during both waking and sleeping hours with a mobile device fitted to each patient. Analysis showed that the masseter muscles were much more active in patients with moderate to severe gum disease. The results of this study suggested that masseter muscle activity might be related to the severity of periodontitis. Of course, one thing this study can’t show is whether the bruxing caused the gum disease or gum disease intensified the bruxing. Either way, the relationship can have severe consequences for your oral and systemic health alike. For one, as we noted before, sleep bruxing can be a sign of obstructive sleep apnea or other airway issues – problems that have been linked to conditions such as high blood pressure, heart disease, and cognitive problems. Such clenching and grinding behaviors can also destroy your teeth. Brux with enough pressure, and teeth may crack or loosen. 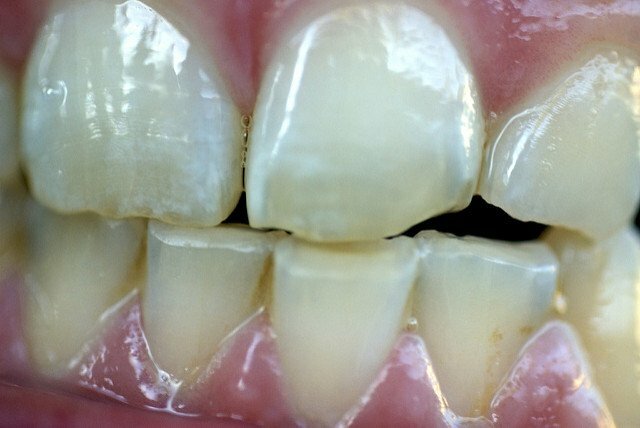 As enamel is ground away, tooth decay becomes more likely. Then there’s the added pressure bruxing puts on your jawbone. It can traumatize the temporomandibular joints (TMJ) that connect your jaw to your skull, leading to chronic head, neck, and face pain, and severe headaches. Gum/periodontal disease, on the other hand, is a bacterial infection of the soft tissues around your teeth. As the infection progresses, those tissues deteriorate, exposing more of the roots of your teeth, leaving them more vulnerable to decay. Left untreated, it may begin to erode the supporting bone, as well. With less support, the teeth loosen. Eventually, they may fall out. Then there are the systemic health problems that have been repeatedly linked with gum disease: heart disease, diabetes, stroke, cancer, Alzheimer’s, rheumatoid arthritis, and more. Suffice it to say, having gum disease and a bruxing habit together is very bad news for oral and systemic health alike. One attacks below your teeth; one attacks on top. More, the pressure from clenching and grinding is apt to put even more pressure on the tissues affected by the gum disease, making the problem even worse. If either of these is an issue for you, it’s essential to seek dental help. Your oral health and your whole body health depend on it.